Hi there. I am Susy Botello and I am the founder of the International Mobile Film Festival. I created the festival with respect to filmmakers and everyone who wanted to make movies with their mobile phones. The International Mobil Film Festival™ Back in 2009, my goal was to create a platform to screen films shot with only mobile phones on a big screen in a place where filmmakers could come together & I could roll out the red carpet for them. All human beings in the universe qualify as long as they shot their films with only mobile phones. It was an unpopular idea, at the time but that did not stop me from promoting it. We put on a film festival every year in San Diego and filmmakers come from all over the world. So far they range in ages 11 to 82. 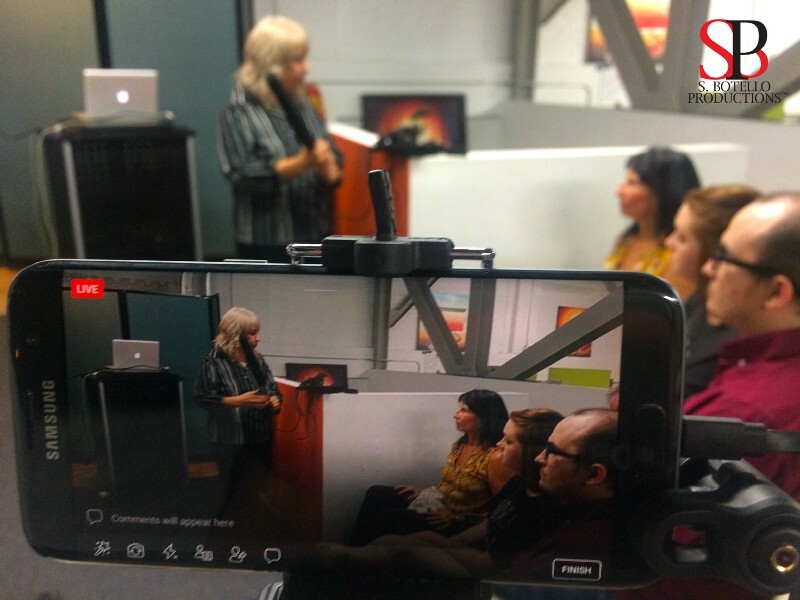 Mobile Film School (non-accredited) I also teach workshops and I do speaking engagements too, like the panel on mobile filmmaking at Comic-Con International in San Diego in 2016-2018. #MobilizeStories I had been thinking about helping the global community with a way to support each other. Something other than the yearly festival where some are able to make the trip to San Diego. I also wanted San Diegans to benefit from it and to connect with all the awesome people making films and videos with smartphones around the globe. The #MobilizeStories hashtag and community is the result of that effort. I promote it in other events I am invited to speak, present and share mobile filmmaking and the opportunity of the film festival platform. 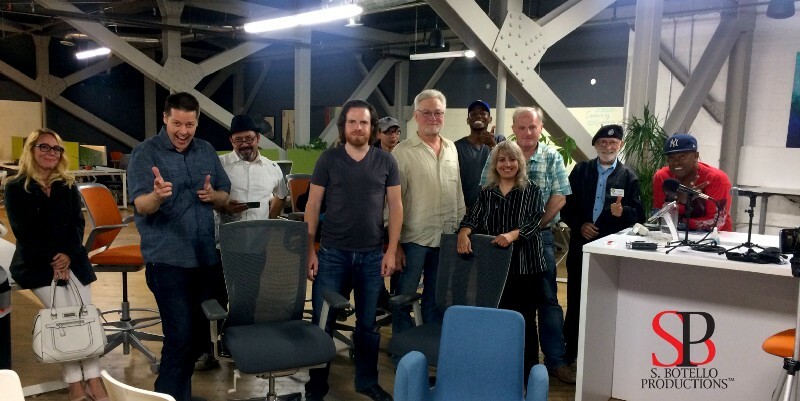 September 19, 2018 we organized the first San Diego Connect & Meet Up Mobile Filmmaking Community Event. More people than we expected when we organized it came. Everyone truly connected and is working together to create mobile films to share during these events. We also discuss it, learn techniques, share updates in the industry, new gear, apps, opportunities and other mobile filmmaking and smartphone video topics. We also have a monthly themed contest for the whole world to participate in, aside from challenges and projects we propose during our San Diego events. 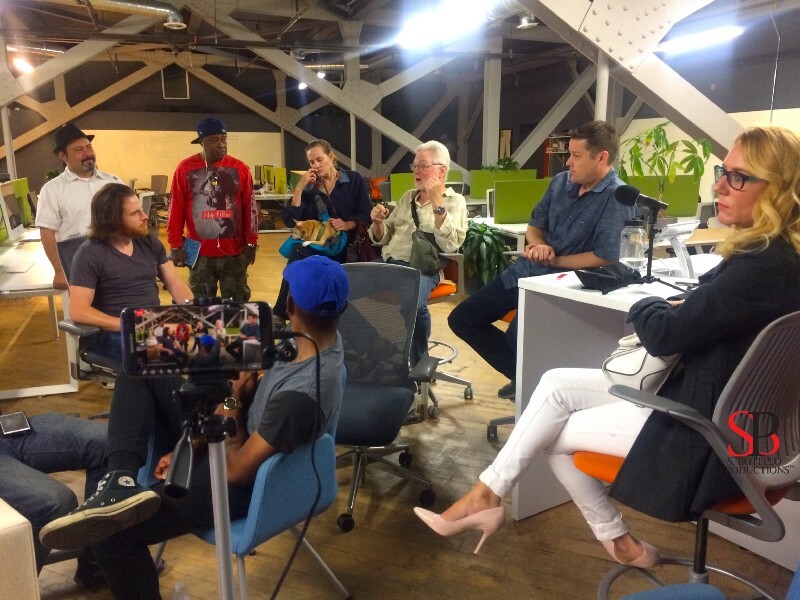 SBP Podcast: The Voice of Mobile Film™ Hosting a podcast is a way for people in the mobile filmmaking industry to share their stories and their experience with conversations. Stories connect us and inspire us but we also learn a lot from what others have to say and are willing to share. So what the heck is Patreon? Well, it’s a way to support creators who are creating things so that they can keep creating! That’s pretty much what my understanding is about it. We have set some levels of pledges for monthly subscriptions you can make. To show my gratitude, I have decided to give some benefits depending on the level you pledge. Even a dollar is awesome. Don’t think a dollar is not going to make a difference. If a 100 people don’t think a dollar is worth giving that’s $100 dollars which never see the light of mobile film! You can read the benefits for each pledge. Depending on the level of membership you get you'll get discounts to tickets to join me in person on the red carpet in our International Mobile Film Festival in San Diego. As things happen like our events, I'll come up with cool ways to thank you on top of what I can promise now. There are live chats we can join, and I can share some special podcasts just for you which would be unique and only for you. My goal is to continue doing what I have been doing and growing the platform and making it better. I am interested in growing the community and connecting everyone through storytelling and making great films with smartphones. Realizing dreams is what it really comes down to. I wish you the very best and hope all I do helps you and people all over the world. Join us and be a part of it! You may think a dollar is not much but every dollar has rockstar status. It's about being a giver. Your pledge inspires me. You will get Rockstar benefits and rewards. That means you will have access to posts for you and the non-public areas of the feed for your pledge level. You are also going to get 20% off the regular price of tickets to our film festival for you or your friends up to three people. And the other perks which I'll surprise you with because I love surprising people! Thanks for being a rockstar! You put the rock in rockstar! Of course I'll up your rewards to show my gratitude. First, You will have access to exclusive BONUS PODCASTS (only for $5+ Patrons) with a tip or insight from our guests on the SBP Podcast. You'll also get a 50% discount on tickets to our International Mobile Film Festival in San Diego for you and 3 friends. A 25% Discount on Short Film Submissions. Plus access to posts with tips and tricks for making better videos with your smartphone and/or using social media to promote them. This is on top of what Rockstars get, of course. High five...did I tell you how much you rock? You are a Super Rockstar! Yeah, we jumped higher on this pledge because now you are the Ultimate Rockstar! You get everything Rockstar and Super Rockstar, plus access to one or more live chats per month with me. You can ask me questions and hey, maybe we'll swap some stories too! I will also give you a shout out on our Twitter when you tweet are an Ultimate Rockstar and tag us @sbppodcast. Also, if you make a mobile film and I like it, I'll feature it on our social media with a shout out. I am playing air guitar thanks to you! You get everything! You get everything all the Rockstar pledge levels get plus I'll add your logo (or name) to our website for the International Mobile Film Festival in San Diego. And if you attend, you and three friends get free tickets & I'll personally introduce you to everyone. I may even give you the mic for a few minutes to share your brand. If you can't make it to the festival, I'll add a short description of your brand. No worries if you are not a brand, we'll work something out. You will also get a shout out in SBP Podcast episodes. Super Heroes Rock! I'll reserve the red carpet for our film festival next April. Our film festival depends on a red carpet for the awards ceremony. Plus I'll share a special thank you video with only Rockstars and Super Heroes!